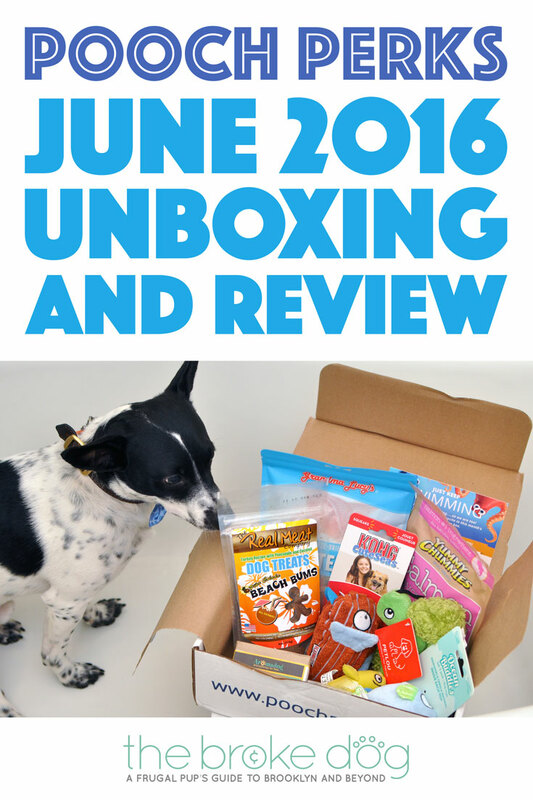 The Pooch Perks June box made quite a SPLASH in our household! This month’s theme is a tribute to the new Disney/Pixar movie Finding Dory, a sequel to 2003’s Finding Nemo. Inside, Henry and I found a sea of savings on products that are adorable, fun, and delicious! 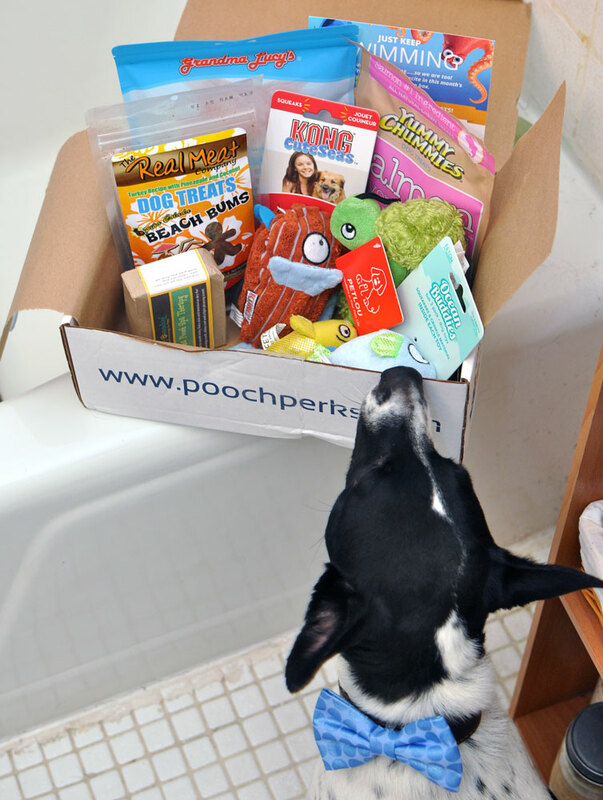 Keep reading our Pooch Perks Unboxing to see what we received — and to learn why Henry is about to smell DELIGHTFUL! PLUS: A 30% discount code at the end of the post! First of all, I love that these Salmon Strips are made in the USA by a family-owned company. Not only does it state this on the package, but the family (The Gibson Family) even wrote a little note on the back! 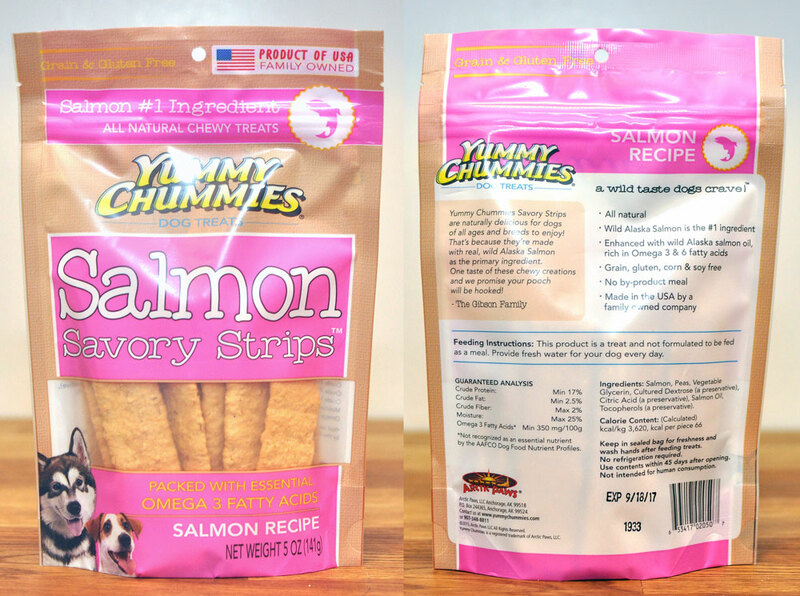 These strips are chewy, have salmon as the first ingredient, and are packed with Omega-3 fatty acids. Two thumbs up from me and four paws up from Henry! This toy is adorable and both squeaks and crinkles – Henry’s favorite combination. The corduroy texture sets this toy apart from any of his others, and I know he’ll have a grand old time tossing and shaking it. This is Henry’s first rattling toy, and he loves that half the legs have rattles and half have squeakers. My boyfriend, Kevin, thinks it looks more like a spider than a turtle, but I just think it’s adorable. Regardless, it is now Henry’s new go-to toy. 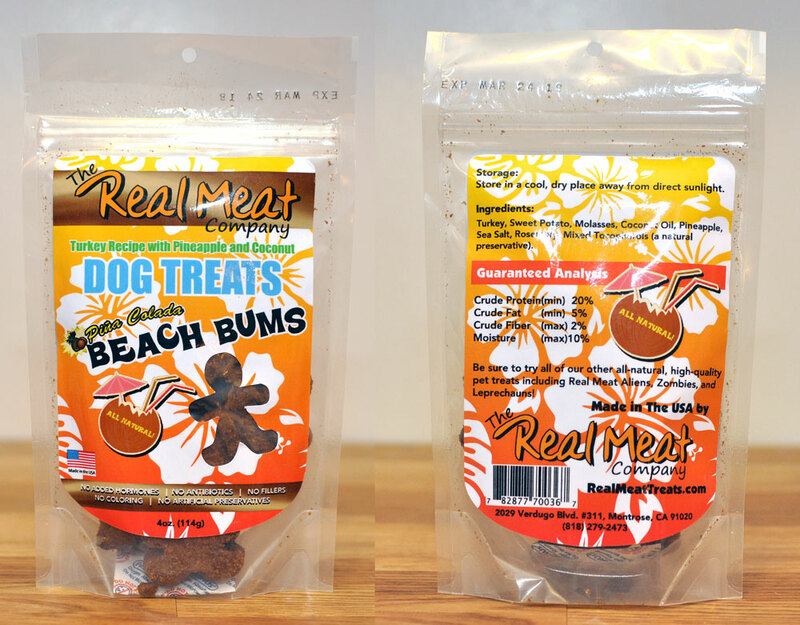 These treats aren’t just called “Beach Bums” – they’re shaped like them, too! I’ve started breaking these into small pieces to bring on our walks for training, and Henry gobbles them right up. I hadn’t heard of this brand before this Pooch Perks box, and I’d love to see what other products they offer. I think smoked white fish salad on a bagel may mostly be a New York thing, but it’s all I can think about each time I look at these treats. Henry won’t be able to spread them on a bagel, but I love that they’re made from a single freeze-dried ingredient. Yum! These fish toy are ridiculously cute, and it’s wonderful that there is three in one package! They squeak and crinkle, Henry’s favorite combination, and are different colors and textures to keep things interesting. 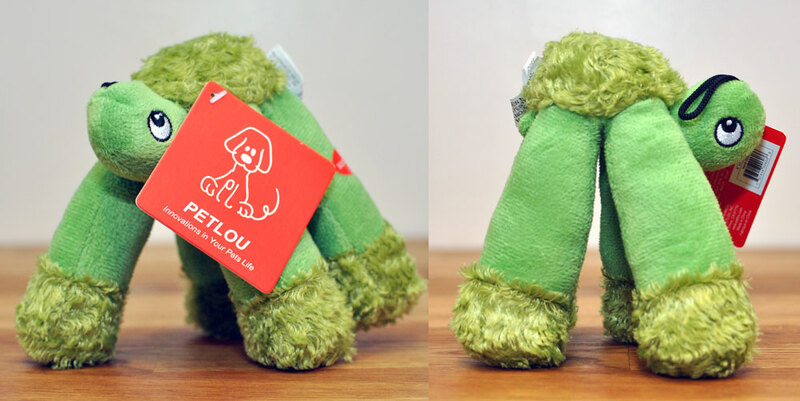 These toys may be a bit small for some dogs, but I know my pup will love chasing and tossing them. Ridiculously cute. 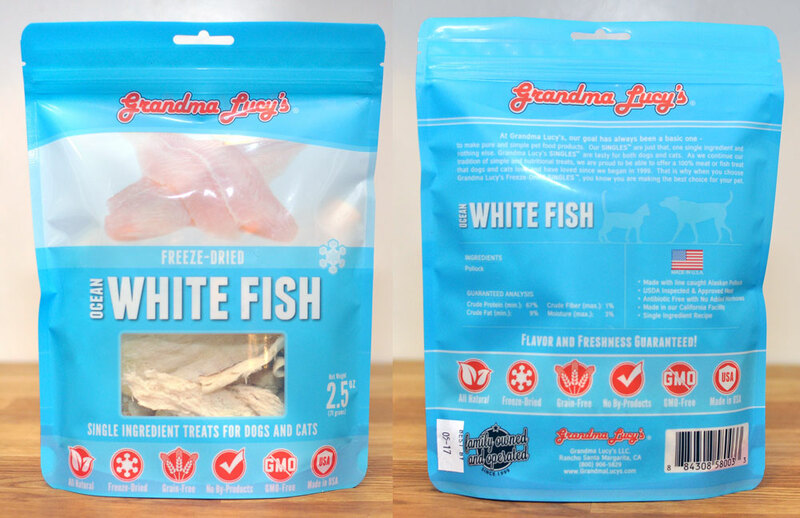 The packaging promises that they “will keep pet engaged and happy,” and I believe it! The first thing I noticed when I opened the June Pooch Perks box was a delightful scent, and I couldn’t wait to learn where it originated. The answer: this Aromadog Derma Pooch bar, which promises a “soft, shiny coat” thanks to its moisturizing properties. Perhaps the lavender’s calming properties will make bath time more enjoyable for Henry – regardless, he is going to smell GREAT! This is one of my favorite box themes (from any dog subscription box company) in a long time! I think I might say that to myself any time I receive a Pooch Perks box, but this theme is just so unique and seasonally appropriate. I love the fun variety of toys and treats (which fit the theme perfectly! ), plus the artisanal grooming product. If your dog loves soft toys, fishy treats, and a relaxing bath, this month’s Pooch Perks box is for you! 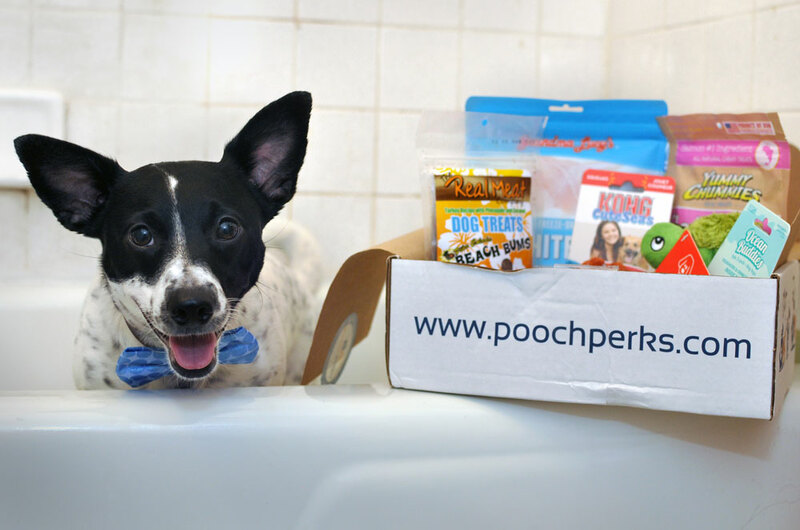 With the Pooch Perks June box, you don’t have to swim the entire ocean to find a great price on adorable, high-quality products! Order via any link on this page to support The Broke Dog, and use our exclusive discount code BROKEDOGBLOG to save 10% any time!